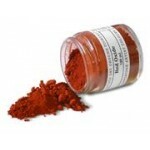 Colour Pigment Powder. Series 1. See the Colour Chart here Artist Dry Ground Pigments . Langridge, since its establishment, has supplied artists with highest specification pigments sourced from around the world. Every colour is verified for its origin and identified for its chemical c..
Colour Pigment Powder. Series 2. See the Colour Chart here Artist Dry Ground Pigments . Langridge, since its establishment, has supplied artists with highest specification pigments sourced from around the world. Every colour is verified for its origin and identified for its chemical c..
Colour Pigment Powder. Series 3. See the Colour Chart here Artist Dry Ground Pigments . 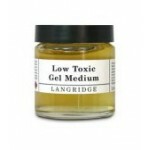 Langridge, since its establishment, has supplied artists with highest specification pigments sourced from around the world. Every colour is verified for its origin and identified for its chemical c..
Colour Pigment Powder. Series 4. See the Colour Chart here Artist Dry Ground Pigments . Langridge, since its establishment, has supplied artists with highest specification pigments sourced from around the world. Every colour is verified for its origin and identified for its chemical c..
Gel Medium - Extender Solvent Free - 250ml..
Gel Medium - Extender Solvent Free - 1L..